Xiaomi, the Chinese tech giant that has found a sweet spot on the supposedly prejudiced Indian market, has yet again stood tall following the launch of the Mi Max. Known for producing power houses for smartphones at prices affordable by the average customer, Xiaomi is all prepped up for launching its latest Phablet, the Mi Max 2, on the 21st of June this year. The device boasts a 6.44 inch Full HD IPS LCD capacitive touchscreen with a pixel density of 342 ppi, ensuring that every visual, be it your favorite movie or work related documents, would be a treat for the eyes. Powered by Qualcomm MSM8953 Snapdragon 625 Chipset and an octa-core Cortex-A53 CPU clocked at 2.0 GHz with 4 GB of RAM, multitasking on this beauty would be a breeze. RAM hogging apps(read Facebook)? Check. Coming down to the camera, the primary focus (word play FTW) of the regular customer, the Mi Max 2 packs in a 12 MP primary and a 5 MP secondary camera, adding that extra glam to your Snapchat/Whatsapp/Messenger stories. 5300mAh battery, a fingerprint sensor, NFC, an infrared port and of course, Android v.7(Nougat) enhances the Beauty of this Beast (okay sorry)! 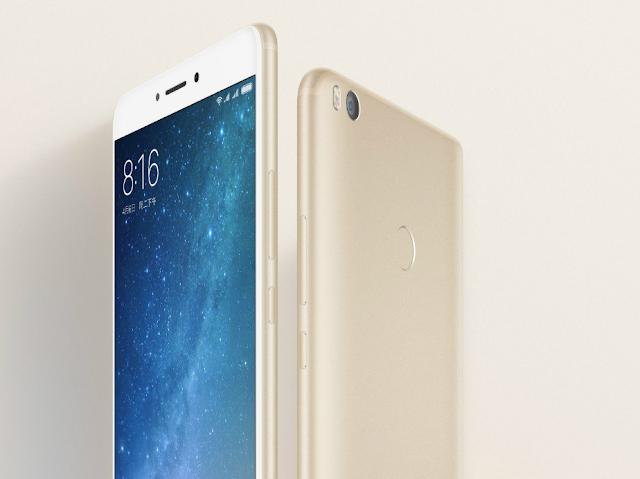 The price of the Mi Max 2 is expected to be around just ₹15,999 for 64 GB and ₹18,999 for 128 GB of internal storage. With features like these at such an affordable price, the Mi Max 2 is already a hit!